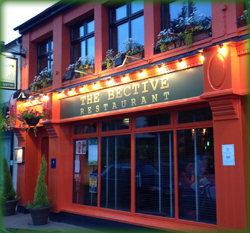 Sign up here for The Bective Kells Loyalty Card. Collect points as you spend. Get Triple points from Monday to Thursday. Plus all loyalty card holders will be eligible for special initiatives, discounts, events etc. 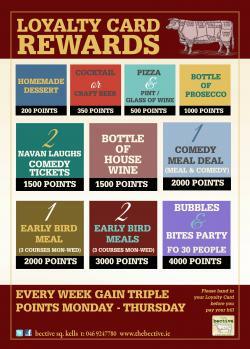 Start accumulating points now... Find more details here. 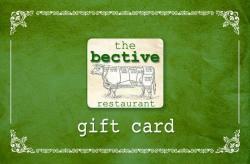 Why not treat yourself or a loved one to a Gift Card from The Bective? They make an ideal present for any occasion. Call in to us or phone us on 046 924 7780 to order one. 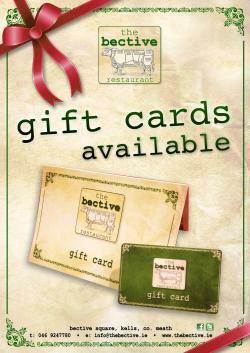 Or buy a Gift card for The Central our sister restaurant in Navan by telephone on 046 902 7999. We are open from 5pm on Mondays to Saturdays and from 3pm on Sundays.